Project Therion is named after the many-headed dragon of biblical lore. 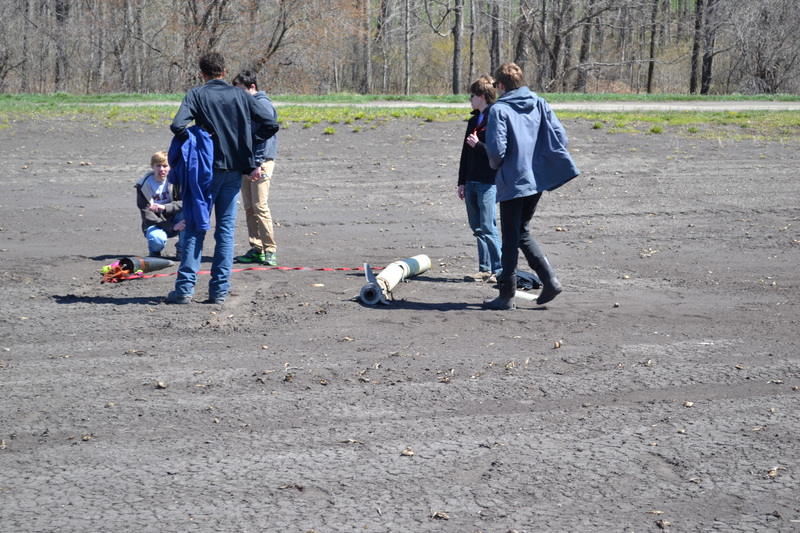 Our rocket is designed to ascend 10,000 ft, where it will deploy a small pilot parachute. 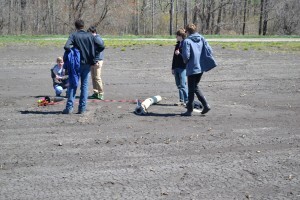 The rocket will descend under the pilot to 5,000 ft. At 5,000 ft, a 67 foot parafoil will unfurl from within the rocket. A flight computer will guide the descending vehicle back toward a designated landing site. All of the subteams have been working very hard hard on the vehicle. See the posts tagged “Therion” for an overview of what has happened. Therion 1 was designed as a drop test article to test parafoil actuation. Therion 1 used phenolic overwrapped tubes as the airframe to reduce construction time and complexity. 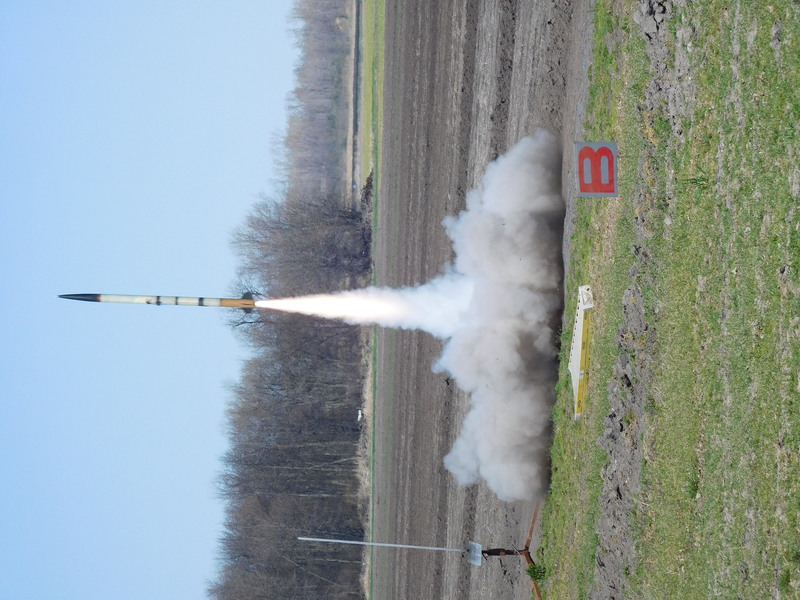 Therion 1 pioneered the team-developed, single separation, dual deploy backup recovery architecture, the pilot mortar and parafoil hatch mechanisms, low integration time avionics, and payload interface mechanisms. 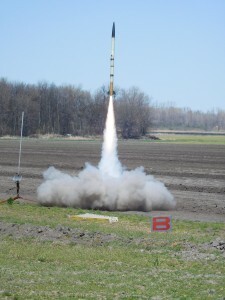 Many components on Therion 1 were uprated to allow for a test flight on a CTI M3400 at Berwick, ME. Therion 1 met an inglorious end when ground support equipment at MMMSC tipped over due to soft soil and gusting wind. The vehicle was almost completely totaled. It was all fine until someone yelled ‘Whoa’! With those heartfelt words, we laid Therion 1 to rest unflown, but it’s spirit (and fin can, avionics, and altimeters) would live on. Therion 2 was our first purpose built flight article. It was a major upgrade from the Therion 1 airframe utilizing an all composite structure. 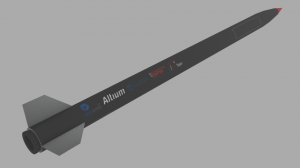 The fin can now featured removable fins, allowing for easier transport and quick replacements in the event of a fin breaking, not that any of us can break the carbon fiber fins. Most of the vehicle is fiberglass to allow the avionics to send telemetry without interference. 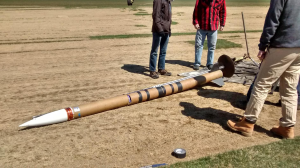 The parafoil section of the rocket received major upgrades in the form of a new mortar and new actuators. Both are easier to machine and easier to integrate. The avionics computer was extracted from the wreckage of Therion 1 and mounted in a newly designed avionics bay which saw a 100% reduction in both faraday cages and rats nests. A new payload structure supported OpenCV and Plasma in a new filament wound 5.5 ogive nosecone. Due to the near zero turnaround time in between Therion 1 and Therion 2 (literally one week), the decision was made to fly with Therion 1’s fin can, to save human resources. Therion 2 was finished on the picnic table behind a hotel at 8 am the day of the launch. The recovery, not so much. 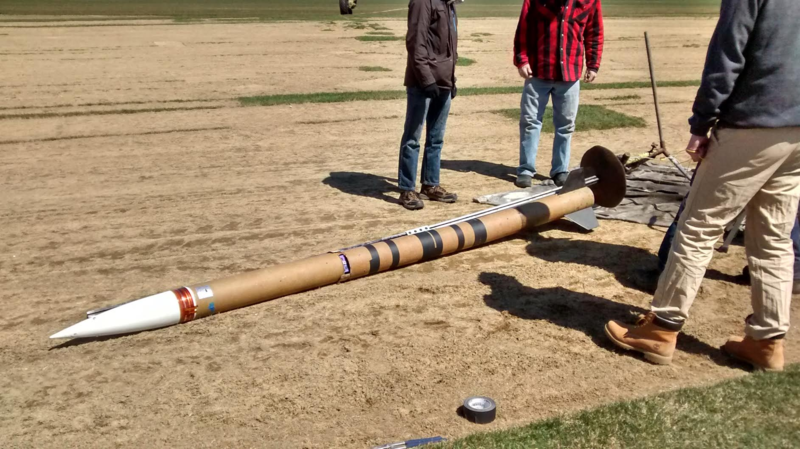 The rocket performed flawlessly until a piece of nomex reefed our drogue parachute. This coupled with the tangling of the main parachute’s webbing with a wire harness lead to the failure of the main parachute to open due to insufficient extraction force. The vehicle impacted the ground at 84 mph. All of the phenolic couplers shattered, but the composite tubes survived well. The nosecone and backup recovery section will be used on Therion 3. The Avionics bay sustained a large amount of damage. The two commercial altimeters survived well, but the Pyxida flight computer suffered serious torque damage. A heroic data recovery effort was undertaken, leading to a 90% data retrieval rate. The only total casualty was the results of the linux computer’s state estimator and event logger.